Hunter Shoults, 5th generation of Bear Creek Smokehouse, hops in the kitchen with his wife, Stacia, to demonstrate a recipe straight out of our family cookbook, Bear Bottom Bliss. Preheat oven to 350°F. Spray a cookie sheet with non-stick spray. Set aside. Season the chicken pieces with salt, pepper, garlic powder and chili powder (if using). Wrap each piece of chicken with a strip of bacon and secure bacon with toothpick. Place the brown sugar on a plate then roll each chicken piece in the brown sugar. Place the chicken pieces on the greased cookie sheet. Bake 30-40 minutes or until the chicken is cooked through and the bacon is brown and crispy. Grab a copy of our cookbook by clicking THIS LINK where you can find this recipe and 100's more like it! 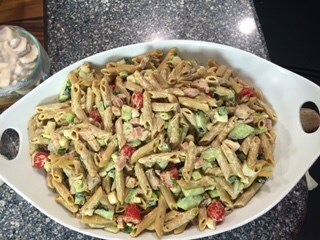 To catch Robbie and Hunter cooking this recipe on The Rachael Ray Show, follow THIS LINK! 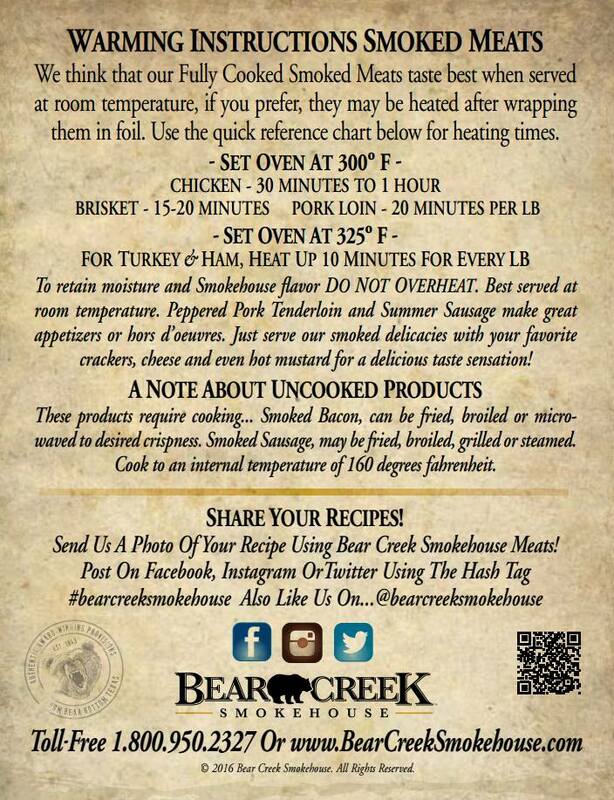 This entry was posted in RECIPES on October17,2018 by Bear Creek Smokehouse. 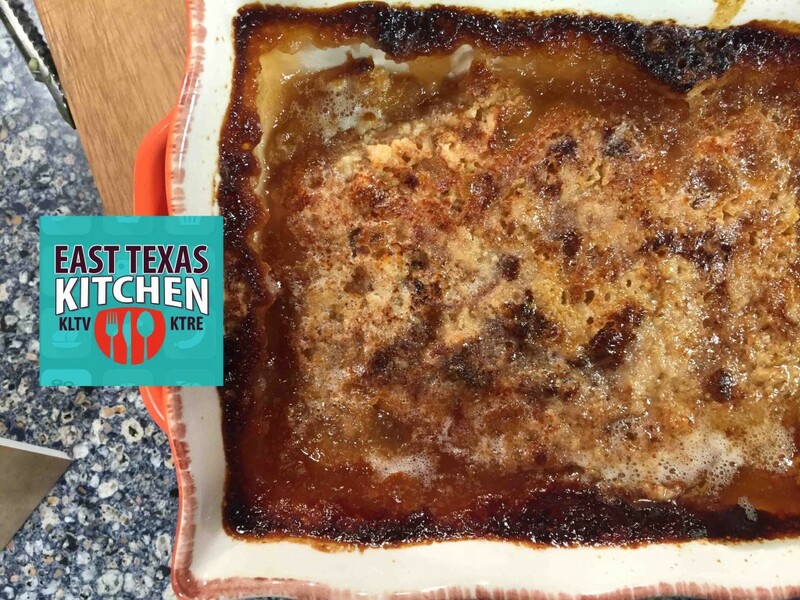 Robbie and Tracy Shoults hopped in the kitchen to whip up pot of this Poblano Bacon Beans! These beans are super easy to make and the recipe is extremely versatile. Render bacon, add onion and poblano and cook until onions start becoming translucent. Stir in remaining ingredients and smoke for 2 hours at 225' or simmer on the stovetop for an hour. 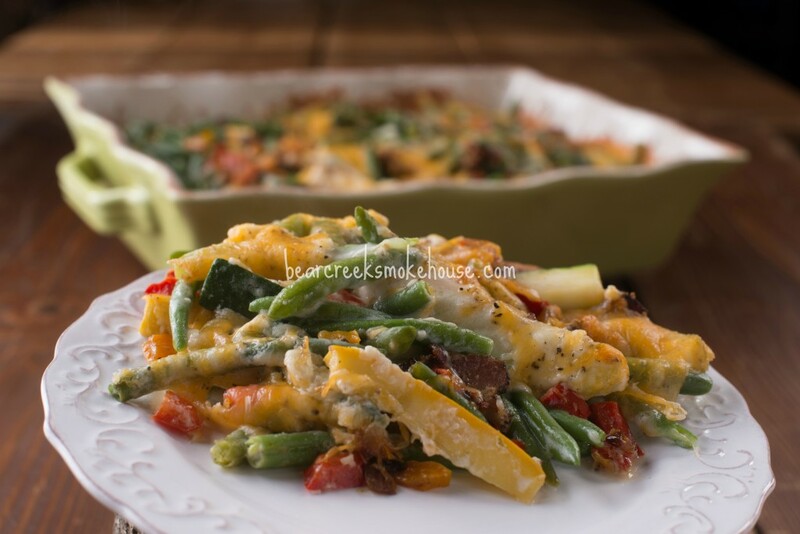 This entry was posted in RECIPES on September19,2018 by Bear Creek Smokehouse. 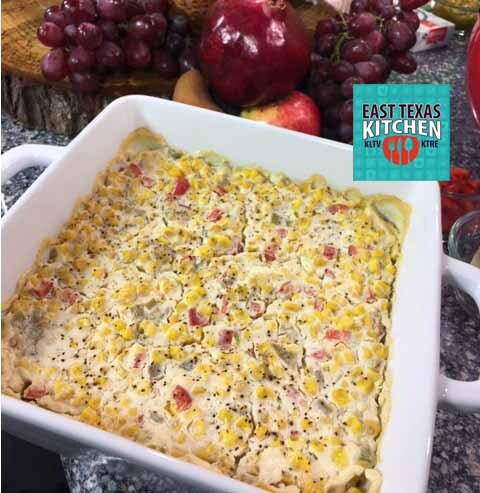 This entry was posted in RECIPES on January6,2017 by Bear Creek Smokehouse. We have noticed that many of our lovely customers have searched our website for our Salt Pork! As you can see, we do not offer this product on our website. We hope you find what you are looking for! 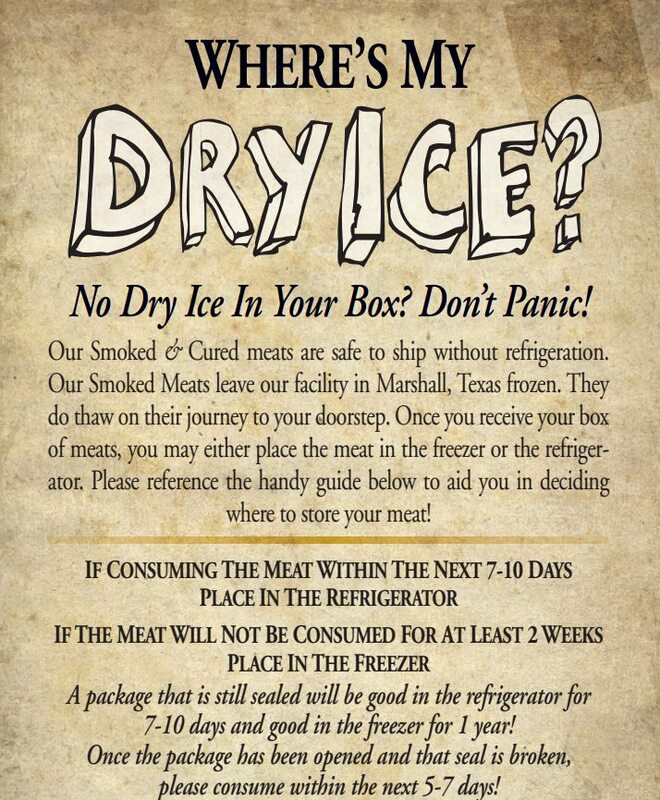 If your local grocery store does not carry this product, request it at the Meat Market. We would love to be in your neighborhood. Please feel free to share your favorite recipes that include our Salt Pork! This entry was posted in RECIPES on September2,2016 by Bear Creek Smokehouse. Cut peaches and add to pan along with water, sugar, butter and jalapeno. Cook over medium-low heat for about 20 minutes. Mix thoroughly and flatten with hands or rolling pin. Add the peaches to various-sized skillets and top with the crust. Add several slices of butter on top and bake at 450 degrees for 30 minutes. After removing from the oven, sprinkle a small amount of sugar and cinnamon on top. This entry was posted in RECIPES on August9,2016 by Bear Creek Smokehouse. 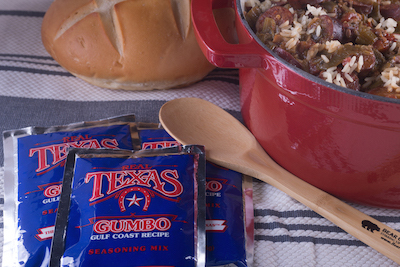 You have got to check out this recipe for Cowboy Beans...perfect for Summer camping! 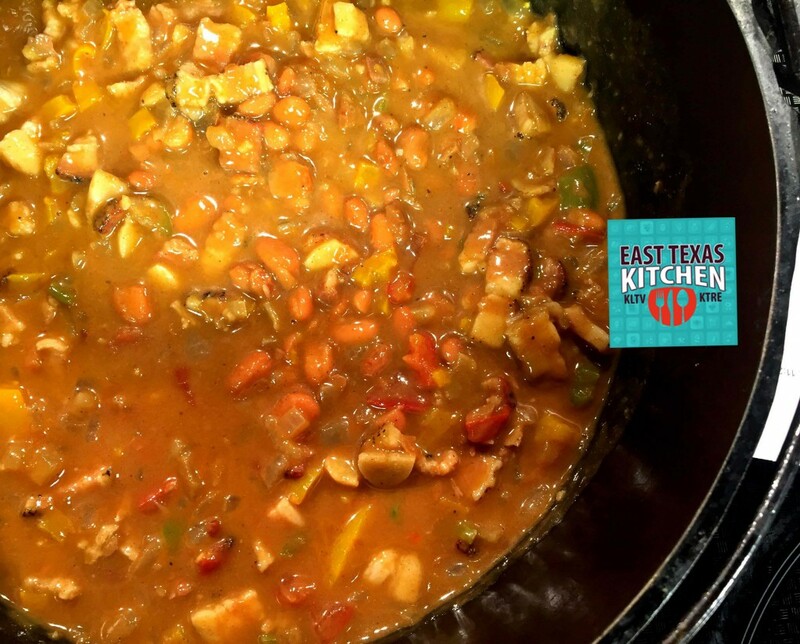 Add pinto beans, tomatoes, chicken broth or beer, and spices. Bring to a boil, then reduce heat and simmer uncovered for 30 minutes. To watch the video, click below! This entry was posted in RECIPES on May25,2016 by Bear Creek Smokehouse. Boil cut up chicken in 1 qt of water until tender. Remove chicken, debone and cut into pieces; reserve stock. In a large kettle, brown 4 TBS each of flour and oil to make a roux. Slowly stir stock into roux, then add 1 package Gumbo mix, 1 cup chopped onion, one 16oz can tomatoes and 4 cups fresh or frozen okra. Add deboned chicken and let simmer one hour; stir occasionally. This entry was posted in RECIPES on April27,2016 by Bear Creek Smokehouse. Blanch green beans and squash in a large pot of water for 5 minutes then drain in a colander. Butter a 9x13 casserole dish and set aside. Pan fry diced bacon, purple onion, and red bell pepper together, drain and place in casserole dish. Next layer the green beans and squash mixture on top of the bacon, red pepper and purple onion in the dish. In a separate pan, heat the butter and whisk in flour to create a roux . Add the cream slowly while whisking to prevent lumps and cook the sauce for about 5 minutes or until thick. Pour sauce over all other ingredients in the dish,top with grated cheese and bake for about 25 minutes. yummy!!! Cook pasta according to directions and cool. Once pasta is cooled stir in the rest of the ingredients and add Mayo, Mustard, and Salt and Pepper to your individual taste.